Every driver in the State of Florida must carry such insurance coverage. The Florida Supreme Court ruled recently that auto insurance companies providing personal injury protection (PIP) coverage may not require an injured person to submit to a statement under oath or examination under oath in order to receive medical benefits to. PIP is also known as “no fault” insurance; every driver in the State of Florida must carry such insurance coverage, which affords up to $10,000 in medical coverage to an injured driver or passenger involved in an auto accident, regardless of who was at fault. 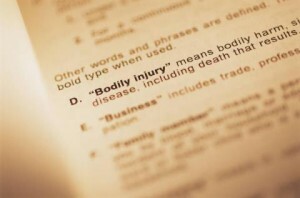 The new PIP law also provided that insurers could require the injured person to submit to a statement under oath (similar to a deposition in a legal case) before qualifying for benefits. The recent decision by Florida’s highest court is a step in the right direction toward striking down significant portions of this unfair and overly restrictive new PIP law. The experienced and aggressive auto accident attorneys at Kravitz Law Group have extensive knowledge of the new PIP law and the benefits to which those who have been hurt are entitled under Florida law. We are prepared to take your case to trial in order to help our clients achieve the maximum recovery for their injuries, lost wages, and other damages. Car accident lawyer Tampa. Call Kravitz Law Group, (813) 626-1234. Car accident lawyer Clearwater. Call Kravitz Law Group, (727) 362-1234. Car accident lawyer Tarpon Springs. Call Kravitz Law Group, (727) 362-1234. St. Pete Car accident attorney, Call Kravitz Law Group, (727) 362-1234. Car accident lawyer Oldsmar, FL. Call Kravitz Law Group, (813) 626-1234. Kravitz Law Group, a car accident attorney, in Tampa specializes in defending victims’ rights in Brandon, Tampa, Clearwater, and St. Petersburg, FL. Call (813) 626-1234 to protect your rights under Florida law. If you need a Car accident lawyer, Tampa, call Kravitz Law Group, (813) 626-1234. If you need a Car Accident Lawyer, Brandon, call Kravitz Law Group, (813) 626-1234. If you need a Car Accident Lawyer, Clearwater, call Kravitz Law Group, (727) 362-1234. If you need a Car Accident Lawyer, St. Petersburg, call Kravitz Law Group, (727) 362-1234.